Yea! 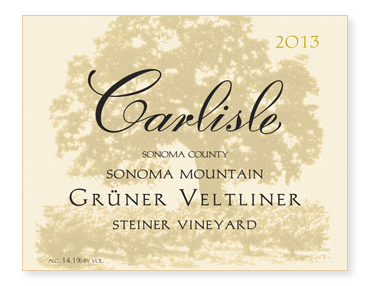 With Steiner’s second block of Grüner now producing, we can finally get this delicious wine into the hands of more thirsty “Gru-vee” fans. If you are unfamiliar with this variety, Grüner Veltliner is the great white grape of Austria, with the finest examples typically coming from the Wachau, Kremstal, and Kamptal areas. At the lower end of ripeness (10 to 12.5% alcohol), the variety produces a fresh, snappy wine with aromas of fresh peas, lime, white grapefruit, iris, and white pepper. As it gets riper, as ours is, the fruit often leans towards stone fruits (peach, nectarine, apricot) or even the tropical spectrum (mango, pineapple), with notes of honey, ginger, and Schezuan peppercorns. Grüner Veltliner is extremely food friendly and works well with everything from Asian cuisine to foods notoriously difficult to pair with wine such as asparagus and artichokes. There are only one and a half acres of Grüner in Sonoma County, all of which is at Steiner Vineyard. A very rare and special wine!